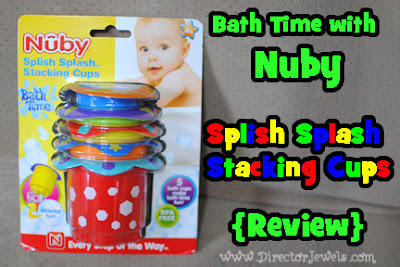 Disclosure: Nuby sent us the Splish Splash Stacking Cup set to review. All opinions expressed below are my own. Bath time has become a lot of fun in our house lately. Why? 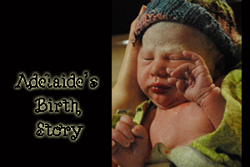 Adelaide learned how to sit up this month, and she is no longer confined to an infant bather in the bathtub! That means the kids can have baths together, which they think is awesome - plus it uses half the water, and makes me smile because they're so adorable. A lot of our squeeze bath toys recently met an untimely end when I discovered that they had grown mold inside (yuck). Until I have time to find a Pinterest-worthy solution to clean them, we don't have as many toys floating around in the water with the kids. This is convenient for me, too, since our master shower is broken and all four of us have bath supplies in this tub now. So, what are the kids playing with in the bathtub? Right now, they unanimously agree that this set of Splish Splash Stackable Cups from Nuby is awesome. There are tons of ways for a 2-year-old and a 7-month-old to put these cups to use. Here are a few ideas! -Pour water on your baby sister's head. -Steal from baby sister's grasp. -Use them to give your bath toy truck a drink of water. 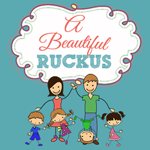 -Line them up in different orders on the edge of the tub (Mom, keep a towel nearby). -Pour water on your sister's tummy. -Wear them like a hat. -Stack them inside each other, or in a big tower. -Pour water from one into another. -Scream when they are taken away from you. -Beat them against the side of the bathtub. -Wave them around in the air. -Splash them in the water by your toes. -Make puppy eyes at brother so that he will share. I love the versatility of these cups and as always, feel safe with my kids using them since they are BPA free. They're great to use in a pinch to rinse someone off at bathtime (though we still love our Nuby Rinse Pail). Each cup has holes in the base so you can experiment with water in the bath, or in a water table. They can even be used as blocks in everyday play! You can find the Nuby Splish Splash Bath Cups at many online and local retailers, including Buy Baby Direct, CookiesKids.com, Diapers.com, BabyEarth.com, Amazon, BuyBuy Baby, Tuesday Morning and Bealls. 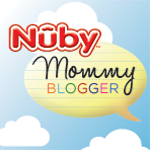 Make sure you follow along with Nuby on Facebook, Twitter, Pinterest, and Instagram to keep up with all the latest products and promotions! Love the suggestions!! Had to giggle at Addie's "chew on them" suggestions. What a fun tub toy! The suggestions are great! I agree that these can be used for everyday play, not just bath time. 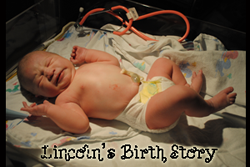 My son carries his around the house. I keep finding them in random places, hahah! I find them everywhere too!